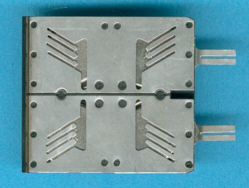 The backside of the TR1 gives a standard slide rule. 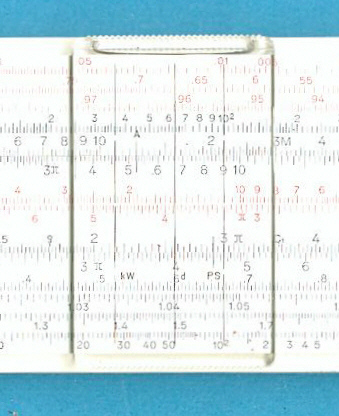 A magnification of one part of the slide rule. The battery pack of the TR1, TR2 and TR3 calculators. © Joerg Woerner, May 5, 2002. No reprints without written permission.